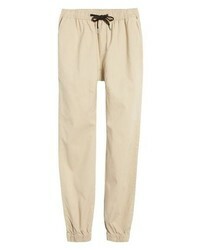 A light blue denim jacket and beige sweatpants are among the crucial elements in any gent's well-coordinated off-duty collection. 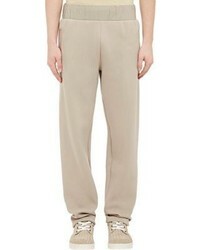 Does this getup feel too polished? 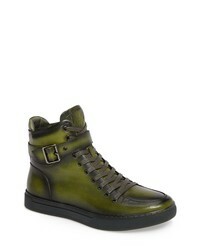 Let olive leather high top sneakers shake things up. 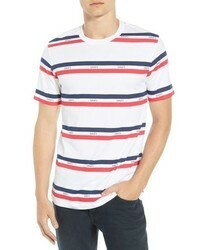 This combo of a light blue denim jacket and a white and red and navy horizontal striped crew-neck t-shirt is definitive proof that a pared down off-duty look can still look extra dapper. 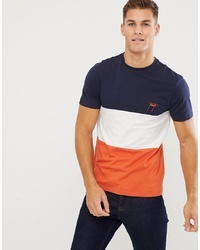 Feeling transgressive today? 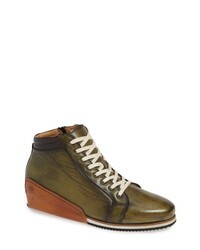 Change things up a bit by sporting olive leather high top sneakers. 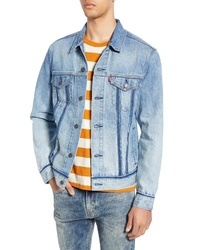 ROLLA'S Lined Denim Jacket $179 Free US shipping AND returns! 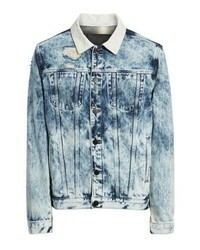 Hudson Jeans Hudson Donovan Denim Jacket $234 $350 Free US shipping AND returns! 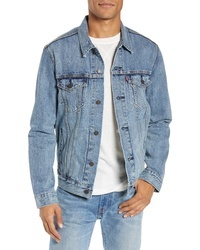 Levi's Denim Trucker Jacket $98 Free US shipping AND returns! 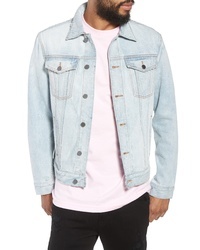 The Rail Denim Jacket $75 Free US shipping AND returns! 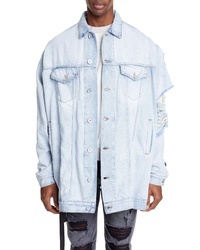 Unravel Project Long Distressed Denim Jacket $855 Free US shipping AND returns! 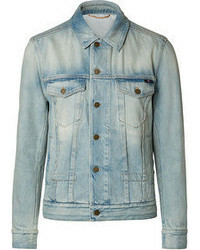 Madewell Classic Denim Jacket $128 Free US shipping AND returns! 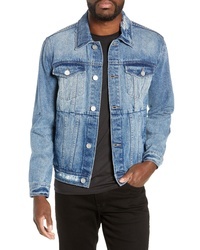 Levi's Denim Trucker Jacket $89 Free US shipping AND returns! 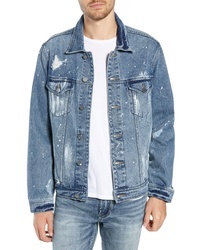 BLANKNYC Distressed Denim Trucker Jacket $73 $148 Free US shipping AND returns! 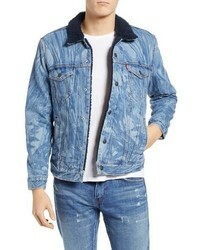 Topman Reversible Denim Trucker Jacket $175 Free US shipping AND returns! 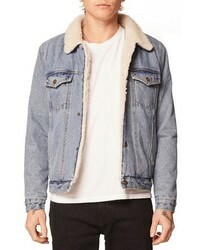 Levi's X Justin Timberlake Faux Shearling Collar Trucker Jacket $148 Free US shipping AND returns! 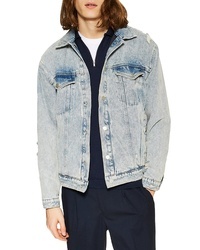 BLANKNYC Denim Trucker Jacket $63 $128 Free US shipping AND returns! 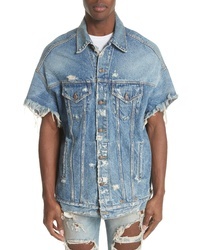 R13 Oversized Cutoff Denim Jacket $277 $695 Free US shipping AND returns! 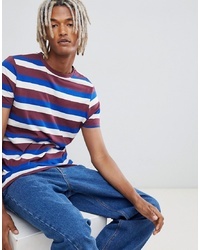 A light blue denim jacket and a white and red and navy horizontal striped crew-neck t-shirt are the kind of a never-failing casual look that you need when you have zero time. 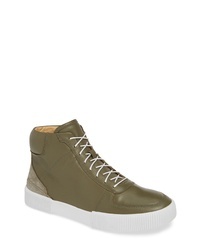 And if you want to instantly play down this getup with one item, why not complement your getup with olive leather high top sneakers? 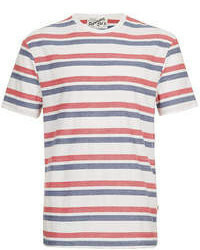 Levi's Vintage Clothing 1960s Slim Fit Stripe T Shirt $88 Free US shipping AND returns! 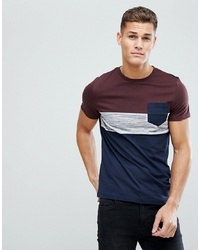 Levi's Mission T Shirt $29 Free US shipping AND returns! 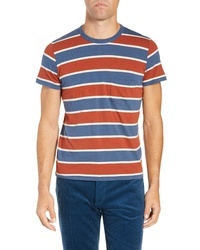 Levi's Sunset Stripe Pocket T Shirt $29 Free US shipping AND returns! 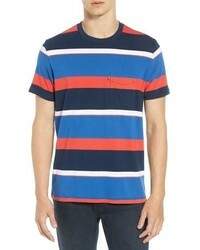 Levi's Made Crafted Mighty Made Colorblock T Shirt $20 $34 Free US shipping AND returns! 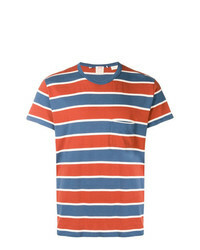 Levi's Made Crafted Mighty Made Colorblock T Shirt $34 Free US shipping AND returns! 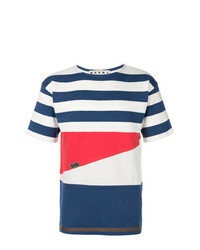 Marni Striped Breton Top $607 $1,012 Free US Shipping! 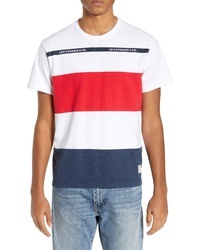 This combo of a white and red and navy horizontal striped crew-neck t-shirt and beige sweatpants is proof that a pared down casual getup doesn't have to be boring. 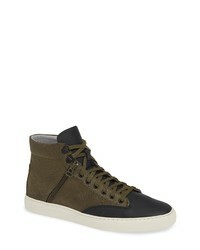 If not sure as to the footwear, introduce olive leather high top sneakers to the equation. 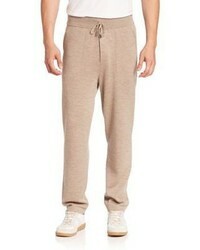 Zanerobe Sureshot Jogger Pants $99 Free US shipping AND returns! 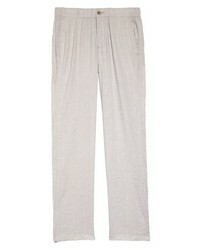 Tommy Bahama Relaxed Linen Pants $115 Free US shipping AND returns! 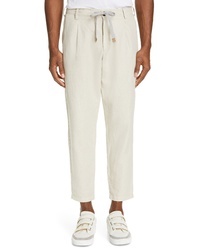 Eleventy Pleated Cotton Linen Jogger Pants $295 Free US shipping AND returns! 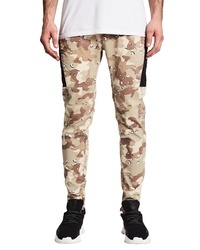 Hype Skinny Joggers With Crest Logo $56 Free US Shipping! 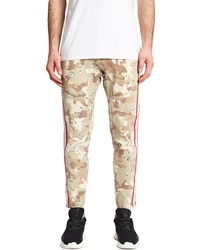 NXP Sergeant Slim Fit Pants $130 Free US shipping AND returns! 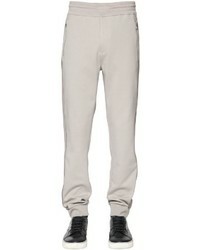 NXP Hawkeye Slim Fit Pants $140 Free US shipping AND returns! 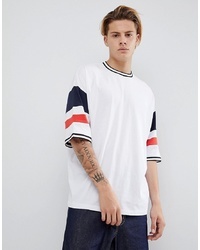 If you gravitate towards modern casual getups, why not team a white and red and navy horizontal striped crew-neck t-shirt with beige sweatpants? Look at how nice this ensemble goes with olive leather high top sneakers. 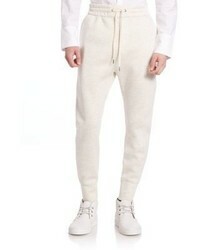 Mezlan Niro Sneaker $395 Free US shipping AND returns! 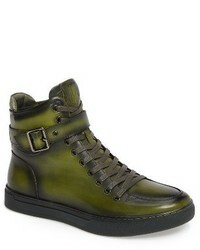 Jump Scully High Top Sneaker $112 $188 Free US shipping AND returns! 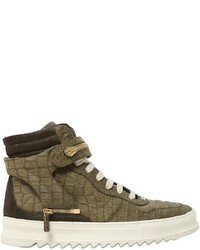 Jump Sullivan High Top Sneaker $112 $188 Free US shipping AND returns! 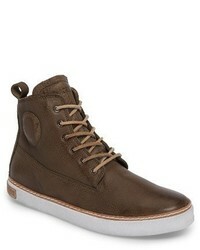 Blackstone Am02 Sneaker $198 Free US shipping AND returns! 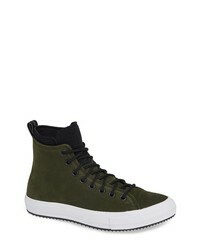 Jump Sullivan High Top Sneaker $188 Free US shipping AND returns! 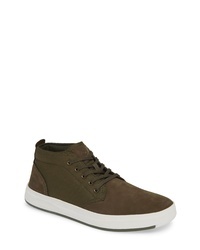 Timberland Davis Square Mid Top Sneaker $80 Free US shipping AND returns! 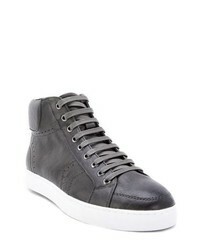 English Laundry Aiden Sneaker $185 Free US shipping AND returns! 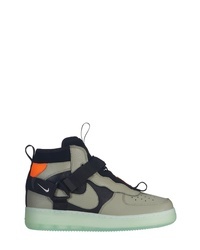 Nike Air Force 1 Utility Mid Sneaker $165 Free US shipping AND returns! 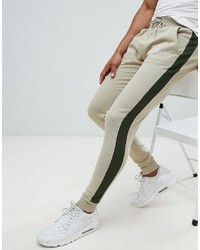 TCG Bom Sneaker $160 Free US shipping AND returns! Converse Chuck Taylor Counter Climate Waterproof Sneaker $120 Free US shipping AND returns! 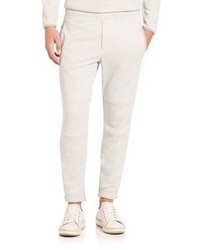 Zanzara Uglow Perforated High Top Sneaker $210 Free US shipping AND returns!